Where does one go after launching a fairly successful bone conduction headphone line? Sunglasses. Seems as good an option as any. This week at CES, AfterShokz announced the launch of sub-brand OptiShokz, which leverages the company’s technology for a line of active sunglasses. OptiShokz’s first product is the unfortunately named Revvez, which will launch via Indiegogo campaign mid-February. No price yet (likely that will depend on whether you opt-in to the pre-sale), but the glasses are IP55 water resistant and should get around six hours of playback on a charge. 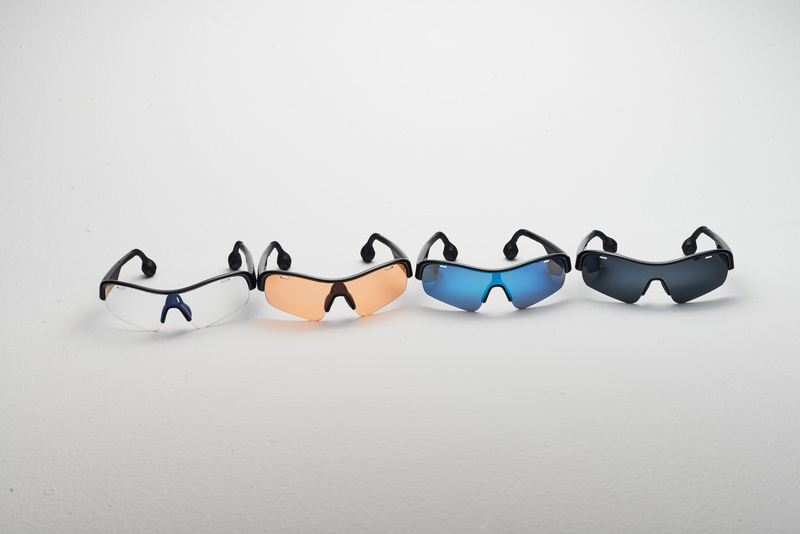 The lenses, meanwhile, are available in a bunch of different color options, including Polarized Grey, REVO Blue, Gradient Grey, Transparent, and Bright Yellow. I tried an early version of AfterShokz and was a bit underwhelmed by the quality of of the bone conduction, but things seem to have improved a fit bit since then. Also, there’s something to be said for an audio technology that doesn’t obstruct your ears when you’re out, say, mountain biking. Of course, attaching this to a pair of sunglasses ultimately makes them less versatile than a standard pair of headphones. Not a big number granted, but better safe than sorry, certainly.